Business ideas can come from everywhere. It can come from observing other people – what they like and what they need — that are not currently being addressed in the marketplace. Some business ideas are born out of frustration after not finding a suitable solution to a particular problem. Even if a solution exists, it may not do the job well enough, and there are opportunities to improve the products or services. I’ve listed below some interesting and creative business ideas that I’ve come across recently. Some of these business ideas have proven their worth and earn millions of dollars, while others are just new to the market. But they all share a common element: they address a particular need. Ever tried to dumpster dive just to find cardboard boxes that you can use for packing and moving? BungoBox offers an alternative to cardboard boxes, plastic crates that makes it easy to haul items and belongings while keeping them safe. Their products are a better alternative to cardboard boxes as BungoBoxes are durable, stackable, sustainable plastic containers aimed to better protect items being moved, as well as reduce the cost of packing supplies. The boxes are available for rent, though they offer the option to buy the boxes as well. Goats have long been promoted as a possible alternative to herbicides to clear out weeds. WeRentGoats.com offer goats to clear fields, acreage, ditches, embankments, and others. Currently operating in six states (Utah, Nevada, Idaho, Montana, Oregon, Washington), they come to the property the owner wants cleared, bring the appropriate number of goats and then clear the weeds and vegetation on the land. Swiss entrepreneur Samuel Liechti was invited to a meeting with Japanese customers, after which he was invited to attend a tea ceremony. Japanese tea ceremonies require that shoes to be taken off, and Leichti at that time was wearing two different socks, one of which had a hole in his big toe. That embarrassment made him think of how to manage his sock problem, and that’s how his sock subscription service was born. Sock subscribers can get 3 deliveries of 3 pairs starting at $89, 4 deliveries of 3 pairs for $118, 1 delivery of 12 pairs for $118, or 6 deliveries of 3 pairs starting at $175. The company has since expanded to offer t-shirt subscription, underwear subscriptions, and shirt subscriptions. For $87, underwear subscribers can receive 3 deliveries of 2 briefs. As the company’s blurb says, “A wedding dress is too beautiful to sit in a closet.” While some prefer to keep their wedding dresses forever, other women opt for the practical route and instead sell their wedding gown. Founded in 2004, PreOwnedWeddingDresses.com is a listing service that connects buyers and sellers of new, sample and used wedding dresses. It has become the go-to destination of brides looking to sell their gowns, and would-be brides looking for their perfect gowns (albeit used). For those who love mystery, shop at SomethingStore.com and you’ll get — something! Shoppers pay $10, but they won’t know what they bought until the package arrives at their doorstep. Cupcakes have become massively popular nowadays. But instead of the frilly pink confections, Butch Bakery creates aesthetically masculine cupcakes made with beer, bacon and other manly ingredients that caters to men. Many American families celebrate holidays by eating turkeys, with family members waiting in anticipation as to who will get the lone wishbone. To appease dinner table fights over the breaking of the lone wishbone, a Seattle entrepreneur created plastic wishbones that allow all members of the family to have a wishbone to break. Seems like a niche holiday business, but Lucky Break Wishbones have proven to be a very successful business. Make your expensive Christian Louboutin or Manolo Blahnik shoes last. Two Connecticut young ladies created the SoleMates High Heeler for those who want to protect their high heels especially in outside conditions (grass, gravel, cobblestones sand). Prevent the “morning face”, or the lines and wrinkles that becomes more prevalent when waking up with the Mumbani Fresh Face pillow. This pillow keeps the face from getting smooshed in the pillows, thus avoiding wrinkles and lines. Maternity is an exciting but temporary moment, that some pregnant moms don’t want to invest good money to buy a new wardrobe, particularly formal wear or gowns to wear during pregnancy. Thanks for sharing these unique and creative business ideas. These types of business ideas will really be helpful and also give inspiration to the upcoming entrepreneurs about how to create and generate small or great business ideas for their businesses. To get some more unique business ideas and inspiration for your entrepreneur’s mind, visit at BusinessPartners the world’s topmost online business portal. 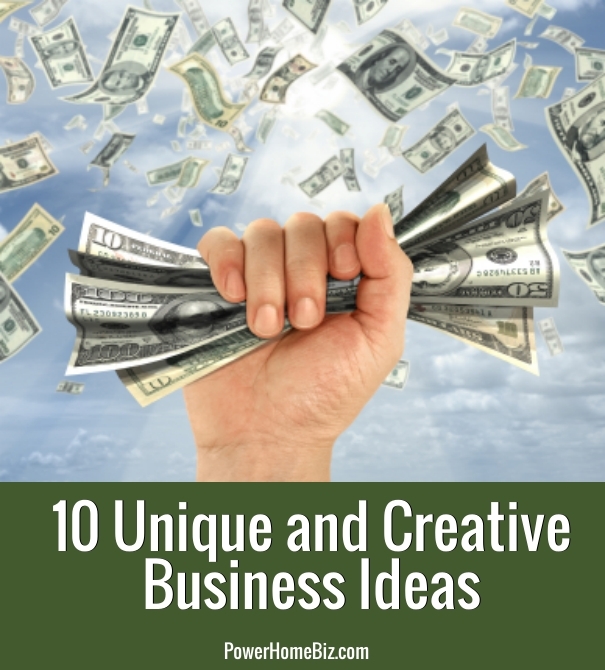 Great ideas.Great Article on new and creative Business Ideas.i use your ideas for create business with source income. You gave a quiet comprehensive List 🙂 Great ideas. What will fundamental earnings provide for the cannabis industry? I liked the idea of Preowned wedding dresses. I feel there are several people who may not want to have their wedding dresses after wedding especially in India. I like the pre owned wedding dress idea. I think they need a catchier name though, perhaps somethingold.com or somethingborrowed.com for a dress hire website. The goat business idea I’ve seen and it’s pretty cool, everyone seems to be drawn to random goats. Lots of people taking pictures. The more crazy an Idea sounds, the more creative it tends to be – renting goats to clear weeds? Hmmm how creative indeed! The farmers would spend less on herbicides that could be harmful to humans as well as still offer free grazing for the goats owners. On point! Another way to make money online is to sell your services online. Fiverr is a pretty good start. Personally, I’ve found that those of us that are a bit internet savvy have something of value to offer other business in the form of consulting. 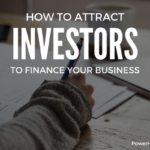 Great business ideas, and a recurring theme is that of temporary service so the customers won’t have to invest more money for something they won’t need in the long run. “We Rent Goats” is probably the most out of this world that business ideas can get. As you wrote in start that we can learn from experience and I do agree with it. But it is not necessary that experience is based on any loss. These are my personal views that I am sharing with you. I appreciate your ideas that you provided in this post and this is useful information for small and large businessmen both. I would like to add one more thing in it that if you are sincere with your workings than you may earn and learn more from it. Understand the customer need and try to fulfill it in a best way to retain and get attention of him. Don`t go always after generating revenue but focus on providing quality product and services to your customer to get best market share and a large number of buyer for your business. Provide that thing which you have promised with your customers. It is the best way to earn and learn more about your business because customers are the best guide of you that what should be in your business and what is the requirement to be superior in it. Great Article on new and creative Business Ideas. Check out the first Zero-Waste moving box rental company in America- http://www.rentagreenbox.com. We’re franchising nationwide! Great ideas, especially the werentgoats.com business, great as an environmental alternative to chemicals. I’ll pass it along.